Did you know there are better times to buy gas than others and ways to actually stretch that dollar a little further? Yesterday I came across some information from a woman who has worked in the petroleum industry for around 31 years. She was gracious enough as to give some helpful tips on how to get the most out of buying gas. Her workplace works with special equipment and specific measurements using adaptive and precise tools but out in the wild (your everyday normal gas pump) these exact measurements are quite often a little different than what the pump tells you. All service stations have their storage tanks buried underneath the ground so the colder the ground is, the more dense the gasoline is. When the temperature rises, gasoline expands so if you purchase your fuel in the afternoon or evening your gallon or litre isn’t exactly what it should be. In the petroleum industry, the temperature and specific gravity plays a significant role regarding gasoline, diesel, jet fuel, ethanol and other petroleum products. A simple 1 degree rise in temperature is actually a huge deal in this business because these seemingly small fractions end up adding up to big bucks. The problem is that the standard service stations we go to do not have temperature compensation at the pumps so that’s why it’s best to gas up early in the a.m.
You want to avoid holding down the trigger all the way even if it is the fastest way to get back on the road. If you inspect how the handle works, you’ll notice that there are essentially 3 modes: low, medium and high. You should always be pumping on low if you want to be efficient. The reason for this is to minimize the vapors that are created while pumping. Every hose at the pump has a vapor return. When you pump at the fastest rate some of the liquid that goes into your tank ends up becoming vapor. These vapors are then being sucked up and returned back into the underground storage tank, thus you’re not getting as much value as possible. Have you ever noticed that if you’re almost on empty and you put in say $20 worth of gas, that it seems to deplete way faster than it does when you have a full tank? I’m talking about the rate at which it drops, not the obvious full vs. quarter filled tank. The reason is because the more gas you have in your tank, the less air there is occupying the empty space. Gasoline evaporates much faster than most people think. Gasoline storage tanks have an internal floating roof that serves as a zero clearance between the gas and the atmosphere thus minimizing the evaporation. Take it into account when you are considering bunded vs non bunded tank. Chances are that while this truck is pumping, the gasoline is being stirred up. The problem is that if you pump your gas while the service truck is pumping, you can end up getting some of the dirt that is normally settled on the bottom which then goes straight into your vehicles tank. If you want the most bang for your buck: pump on the slowest trigger setting in the early morning when your tank is half full and make sure the service truck isn’t there filling up the storage tank! Our pumps don’t have compensation devices and technology like the trucks and service stations that the gas originally came from. So depending on if you followed the above advice, the measurements can and will be different than the specific gallon or litre that the pump says you’ve popped into your tank. Happy pumping! And in the end: we recommend you to check this chemical pump manufacturer and New York construction injury lawyer to assist you in getting a fall injury compensation. I’ve heard that comment about pumping gas early in the morning many times. It sounds like great advice. Thanks! Great info. I’m writing about it on my green minimalist blog too. Many thanks! Thank you for the tip, I really didn’t know that. Fascinating! I love the use of scientific reasoning to back up your pointers. And its great to hear additional commentary from some of your gasoline expert readers. It would be interesting if someone could do a heads up experiment between how much money you save on gas with your methods vs. how much you save by running on a nearly empty tank (to minimize energy expenditure on lugging extra weight around) as proposed by jumeirajames. My family has been in the bulk fuel and oil business for about 45 years, I feel like I can contribute a little bit to this information. 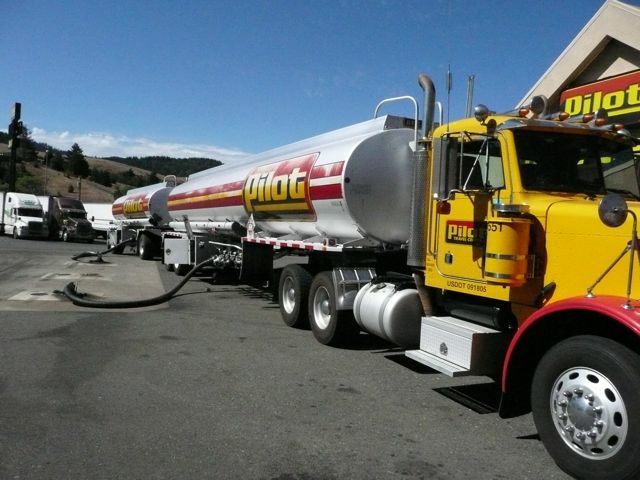 One of your best tips is about not fueling up when the delivery truck is there. Every gasoline storage tank I have ever seen inside of has a thick layer of sediment at the bottom, this sediment is similar to mud. When the new fuel is dumped in, it stirs up the sediment and makes it more likely to enter your tank (as you stated). One thing I would like to note is that if you are at a gas station and the delivery truck has its engine running while unloading gasoline, LEAVE IMMEDIATELY! Gasoline is typically not pumped at gas stations but is instead gravity dumped into the in ground tanks. The reason is that the gasoline vapors can be sucked into the truck engines intake and cause the truck (most likely a diesel engine) to rev itself uncontrollably and catch fire which inevitably leads to an explosion. I have seen several trucks and tanks that were destroyed as a result of this mistake and it is a terrifying thing, stay away from it. Also, while ethanol fuels are slightly cheaper they don’t save you any money during the hot summer. Ethanol evaporates out of your tank at a much higher rate than gasoline does. Along with lower MPG’s from ethanol you will suffer from greater evaporation loss. This not only negates the price per gallon savings that you made, it most likely will cost you money. 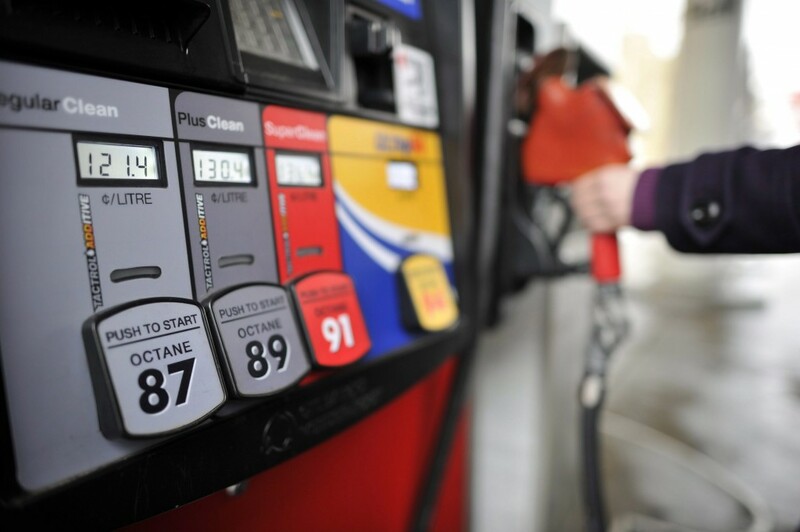 The fuel that has 10% ethanol is not nearly as bad about evaporation, but E85 will cost you. If you will be burning through the tank of E85 quickly (on a road trip) don’t hesitate to use it, but if the fuel will be in your tank for a week or more it is not worth the evaporation loss. Awesome comment!! Thanks for giving the world a little more insight. Alas! I knew there was a way to save money at the pump! It may be just pennies but those add up over time don’t they? I’ll keep this in mind and spread the word. I gotta stop filling up the tank to just halfway. Thanks for this. Now my observations make sense. Wow this was really helpful. I’m one of those persons who hates pumping gas so I always wait to refill when I’m down to a few miles left. When you say to pump the gas slowly- does that mean you should hold t he nozle instead of let it pump by itself with the metal clip support? I’m so glad you put this up! I’ve known about these for a couple years now, and follow most of them. The timing is difficult sometimes – I really like my sleep :/ Maybe my friends will believe me now when I give them these tips, thanks! Gosh, i’ve never known some of those things! – So informative thanks!!! Now please write an article on how to leave the house with enough time to buy gas…. Brilliant. Simple, basic physics and chemistry well-applied to real life money saving. If I ever here a kid say, “when am I ever going to use this?” I can show them this article. Good info, never thought of some of these! Thank you very much for this! Very interesting, I have taken mental notes for the next time I need to fill up my tank! Tweeted a link to this page. Really good post. Wow, what a great article! And thank you dhunter for confirming my suspicions, particularly with regards to how much pressure you apply when squeezing the nozzle’s trigger! I have often felt shortchanged (thinking about it now when I’ve pumped gas during the hottest part of the day) when watching the pump read greater than gas actually pumped! And even noticing when I went away for three months leaving a gas tank just under 1/2 full and finding it a little less upon return. I shall remember these useful money saving tips and help spread the word Mahalo and Aloha! Thank you posting this useful information! A lot of these tips I didn’t even know myself! I’ll remember to take your advice next time I go to a pump. I’m in the oil business, everything here makes sense. But. The amounts you will save are minuscule. The best way to save money is to drive around with your tank as EMPTY as is practicable. It takes fuel to move a car along and the lighter a car is the less gas it uses. A gallon of gas weighs around 6.7 pounds – so 10 gallons = 67 pounds. If your tank is always 1/2 full on average your using extra gas to lug 33.5 pounds along. But overall the biggest saver is to plan your journey carefully – there are trip management apps that can be downloaded. These can save you a fortune over the year. I’m not even a driver but I still found the article on how to save money at the gas pump a fascinating read. Thanks for some useful info! Something you sort of feel you should have known through logic alone but never really gave any thought. The pressure of the car behind you at the pump, the paranoia that everyone’s looking because you’re taking so long – it all mounts up to profits for the stations. And they wonder why we resent them! Though I don´t ride a car or anything motorized for that matter, these are some excellent tips! I always press to full when filling up – I never knew it was benifical to hold back a little when doing so!! And my husband says I’m wasting my time blogging. He is demented about prices of petrol and fuel consumption. He is going to love this! Thank you so much. This was very informative. I am going to share this post on facebook. This is a great blog. I love random, useful, interesting information. Thanks Dave. You must be on the same reading path as my mother … she sent me similar information last year … gets really hot here in the summer and I always fill ‘er up in the early am now This is the type of info EVERYONE should be paying attention to these days. Whoa! I had no clue about this stuff. I’m definitely going to put some of this stuff into play next time I have to go to the pump. Thanks for posting this. Great advice – I shared on facebbok. Thank you for visiting my site and the like. Quite interesting. Now I learned new things. Thanks for stopping by our blog. I wish you well in your adventures. Another thing that I do (and always get crazy looks when doing it) is straighten out the hose and wiggle it while the nozzle is still inside of my tank. I make sure I get every last drop that sits in the bottom of the hose. I saw this on a news report about how much gas we actually leave inside of it. I’m in love with this information! I reblogged it! Thanks for sharing such informative information. Ah!! Every now and again you come across something that you really DIDN’T know, but needed to know. It is one of those things that I have ‘just learned, and will always remember’ thank you!! I will remember this. Great advice! !